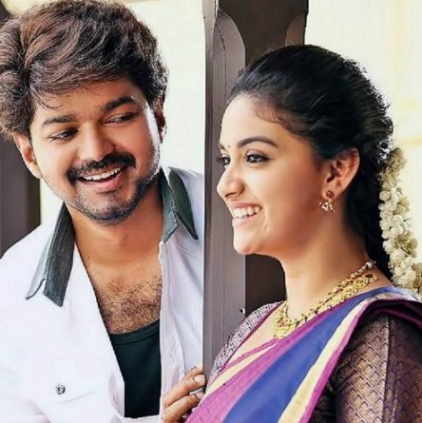 Audio of Vijay’s Bairavaa, although planned to be launched in a grand manner, was later announced as a very somber arrival because of the loss of TN CM and Vardah storm. The track list was out yesterday and poet Vairamuthu had also talked about the songs in his blog. Now the songs have been released through iTunes. This comes as a pleasant surprise to Vijay fans. Behindwoods, music review of Bairavaa will be out now. Get ready to get drowned in Santhosh Narayanan's musical shower! People looking for online information on Bairavaa, Bairavaa songs, Santhosh Narayanan will find this news story useful.